Post of netball coach fall vacant: Harin on different track! The Singapore Netball Academy team is scheduled to visit Sri Lanka during the second week of March, but so far there is no netball coach appointed for the Sri Lanka team. The Netball Federation has decided to field a team comprising players from the Sri Lanka Youth pool and development pool to play against the visiting Singaporean team. 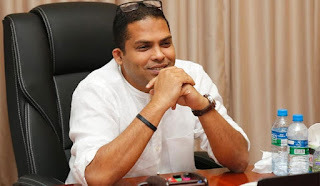 However, Sports Minister Harin Fernando is more focussed on the netball elections rather than appointing a coach for the Sri Lankan team, for which he has been criticised by many. The visiting Singapore Academy team is scheduled to meet the Sri Lankan team on March 17, 18 and 19 at the Panapitiya Army grounds. It is also noted that due to the failure to appoint a permanent coach for the Sri Lanka netball team, it is unlikely that the local team would be in a winning track at the upcoming Asian Netball Championships.